Looking for ways to make some money with your photography? Many photographers are finding that selling stock imagery is a great opportunity to turn their creativity into cash. One of the benefits of stock photography is that it offers you the chance to earn a passive income. Once you shoot your photos, upload them to the stock imagery site, and set the metadata for your images, your work is mostly done! You can move onto other things while your stock photos start selling and you start earning royalties off of every sale. While selling stock photography is far from a get rich quick venture, photographers that are creative enough, and persistent enough, find that selling stock photos can be a fun way to earn some extra income. Ready to get started? Read on to see ten popular stock imagery sites that you can submit your images to, and see how you can get started. 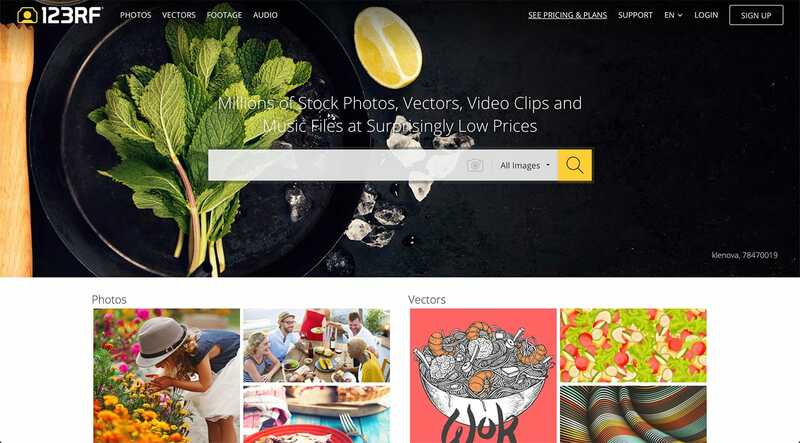 Shutterstock is considered by many photographers to be among the top three stock imagery sites today. 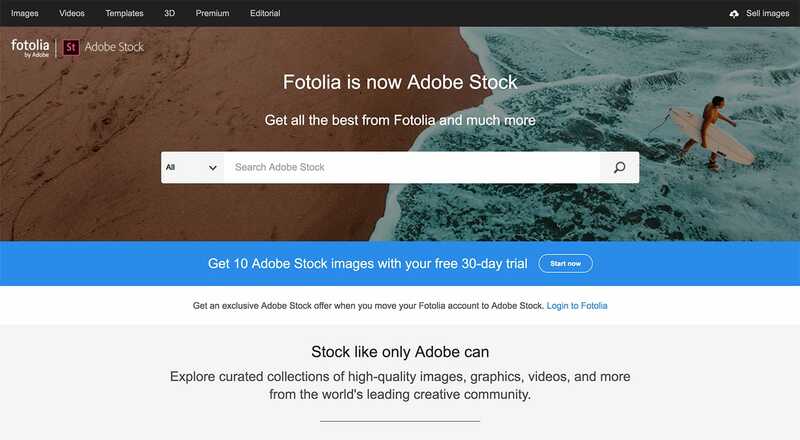 Shutterstock offers free registration, and commission rates start at 25%. Since Shutterstock is one of the main hubs for stock photography however, photographers face a decent amount of competition. To get accepted into Shutterstock, you must submit 10 photographs, 7 of which must be approved. Fotolia is another top tier stock imagery site. It is free to join, and there are no limits on how many images you can upload. Royalties can range anywhere from 20% to 63% depending on the popularity of your portfolio. There’s also a free image section, where you can donate some of your photos if they are rejected from the regular database, allowing you to get some extra exposure. Dreamstime is generous with their commissions and is considered by many photographers to be one of the best stock imagery sites to work with. Keep in mind that Dreamstime has very high quality standards, so quality counts when submitting photos. To start selling on Dreamstime you will need to set up an account and submit sample photos. If your samples are approved, your photos will then be made available for sale, and you will receive a 25-50% royalty off of each sale. 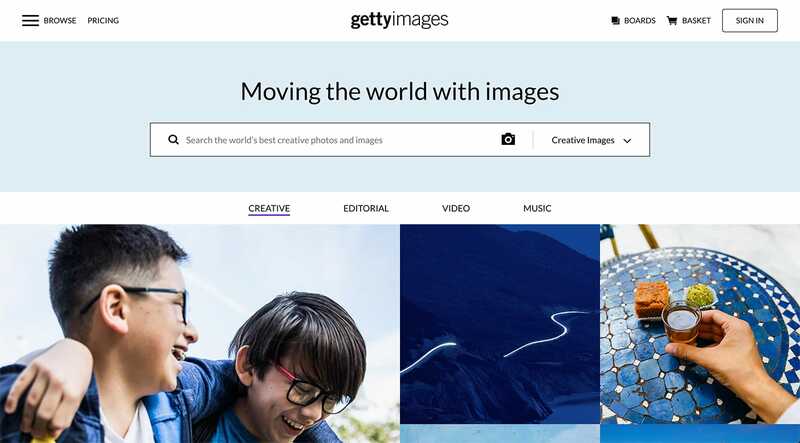 Getty Images was one of the first companies to start licensing stock imagery online. Today, it is one of the most popular stock imagery websites. Getty’s entry requirements are more stringent than many of the other agencies, and they only pay out 20% commission to photographers, but the amount of traffic that Getty receives means more potential sales, making it worth it for many photographers. Getty looks for images that convey emotions or concept, and images that are engaging, exclusive, and unexpected. 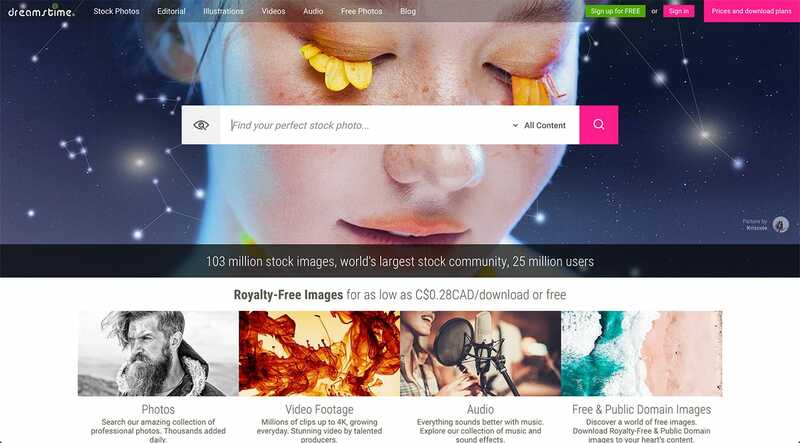 iStock is Getty-owned, and is one of the most well-known stock imagery sites. In order to start contributing, you will need to sign up for a free account, and submit three of your very best photos. 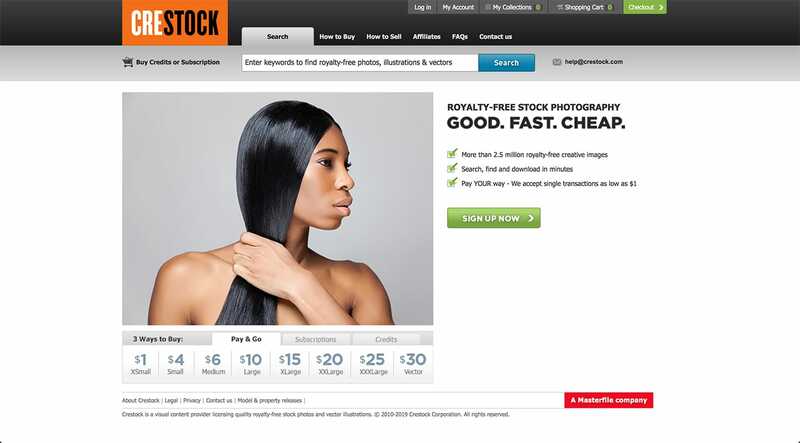 If your photos pass the quality standards, iStock is a great place to start selling stock imagery. They offer 15-45% for commissions, and their site gets more traffic than almost any other stock imagery site. 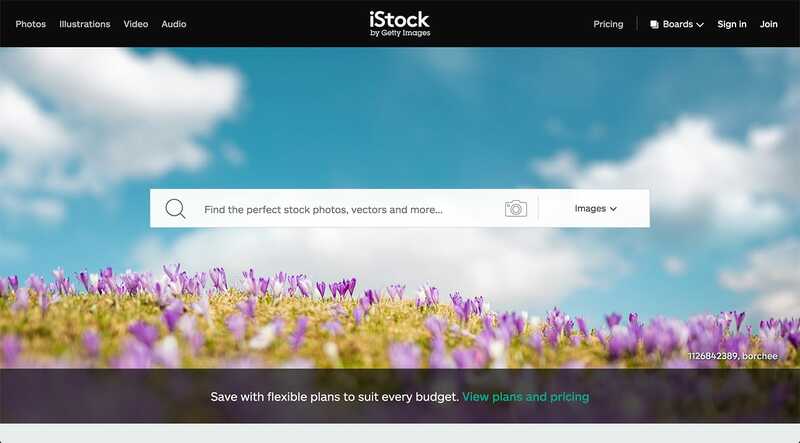 Stocksy is a relatively newcomer, founded in 2013 by none other than Bruce Livingstone – iStock’s original founder. Many photographers are finding Stocksy to be a great place to start selling. 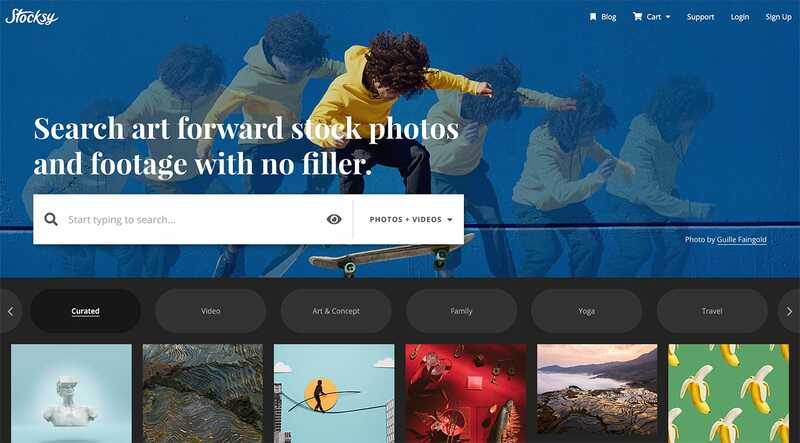 The Stocksy business model is something that most photographers can appreciate; its stated focus is on fair pay and creating sustainable careers for its members. 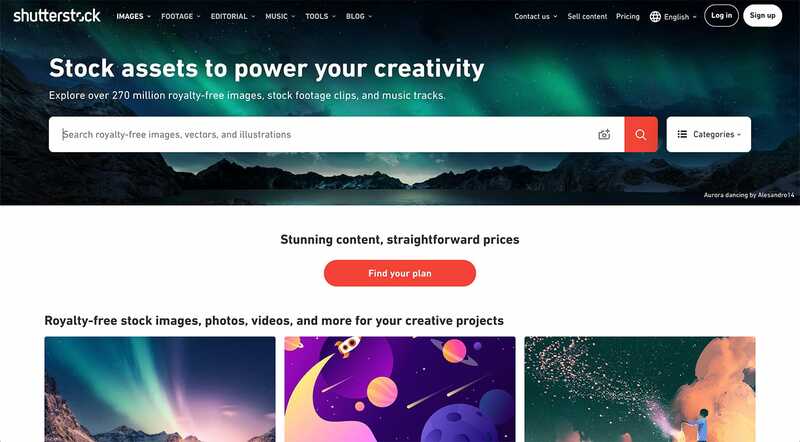 Unlike many stock imagery sites that tend to be stingy with their pay outs, Stocksy pays out 50% commission; a fair deal for most photographers. Crestock is a relatively simple site to use. After setting up a free account, you can upload photos for review. If approved, you will receive 20%-40% commission on each photo that sells. Signup is simple, and once you’re registered you can start uploading images immediately. 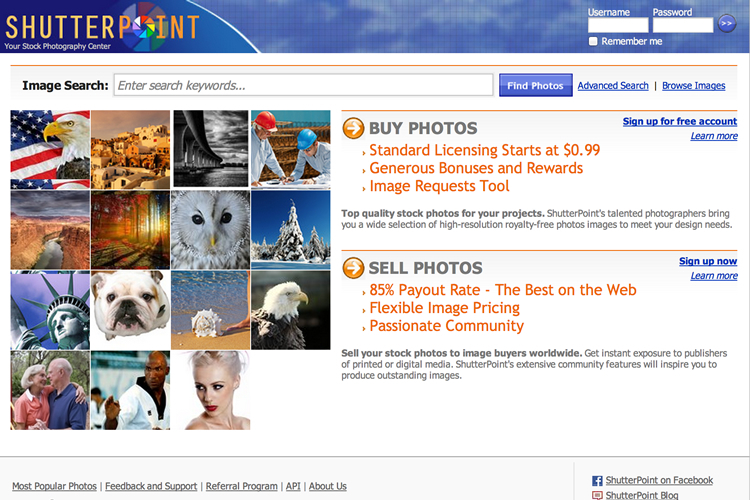 Shutterpoint claims to have the highest pay out rates of all stock imagery sites, up to 85%. Like many other stock imagery sites, Shutterpoint requires a fee in order for you to start selling. This is designed to encourage professional photographers to join, and to help keep the image quality high. 123RF is a great site if you are planning on contributing a lot of stock images. Once you are accepted, you start out at 30% per download, and can work up to 60% – depending on how active you are and how popular your photos are. Alamy is another great site to sell your stock imagery on. Photographers get to keep 60% on any of their images that sell. 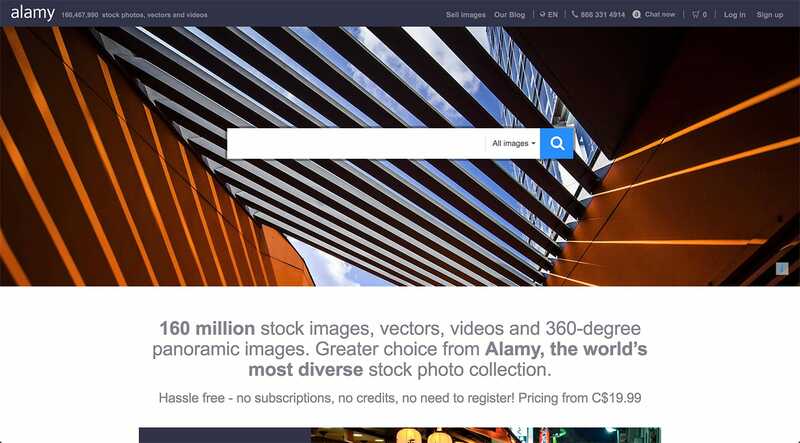 Better still, Alamy doesn’t require you to give them exclusive rights to your photos, which means you can list your photos on other stock imagery sites as well. While selling stock photography can be a great chance to sell your work, it’s important to keep in mind that stock photography is very different from artistic photography. Chances are that most of your standard artistic photos in your portfolio aren’t going to make the cut as stock imagery. In order to be successful, stock images must be the type of photos that marketing directors and graphic designers are interested in. Ask yourself what type of images designers and marketing directors are after. These are the types of photos that sell well on stock imagery sites. Most stock imagery sites are looking for new approaches to capturing an idea, concept, or emotion. While high-quality images that feature people, events, sports activities, and seasonal themes tend to be in demand, photos of sunsets, flowers, and pet hamsters will generally not be accepted. Vague concepts and unclear ideas don’t get accepted on stock imagery sites. Make sure your concept is clear, and well executed. Photos that are less than superb will likely be lost among the sea of other images. Different types of imagery sell on different stock imagery sites. Many stock imagery sites will have a “photos needed” section, or a “popular photos” page for you to browse through. Some will even give you guidelines on what types of images are needed. You have an advantage when you shoot what you know and photograph subjects that you are familiar with. Being an expert in your field gives you an advantage over the competition. Stock imagery is clear, crisp, and always in focus –unless of course, it’s intentional blur. Take advantage of natural lighting and make sure your images are always taken in the best light possible. Stock images that look good as thumbnails tend to be more popular. This is because viewers on stock imagery sites browse photos as thumbnails, so make sure your images look good small. What about you? Have you tried your hand at stock imagery? Which stock imagery sites did you use? Let us know via Twitter or Facebook!